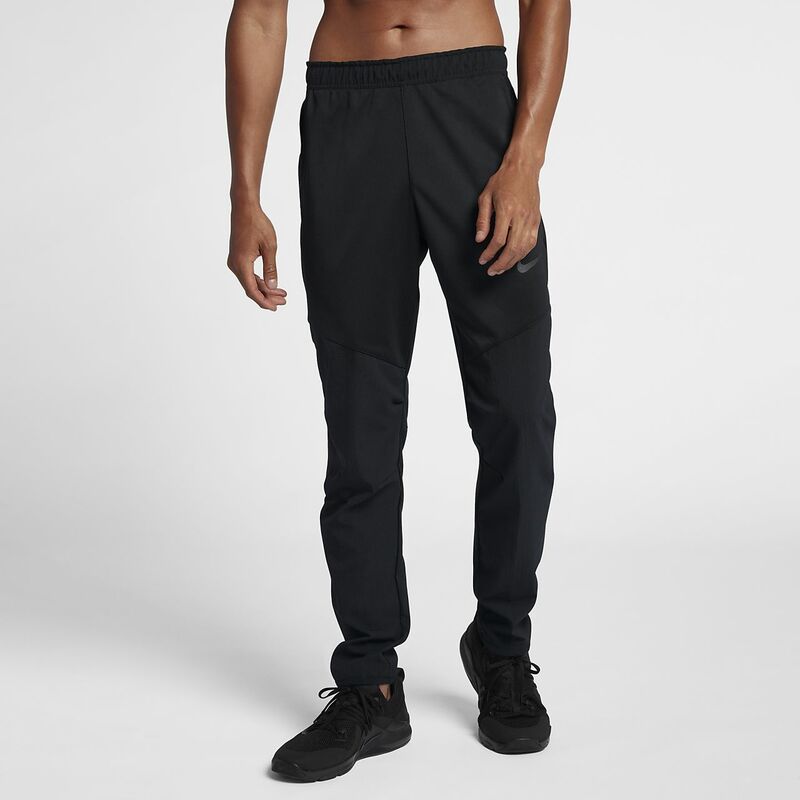 The Nike Dri-FIT Men's Training Pants are designed to move with your body, so you can work out without distraction. They're made with sweat-wicking fabric to help keep you dry and comfortable. The Nike Dri-FIT Men&apos;s Training Pants are designed to move with your body, so you can work out without distraction. They&apos;re made with sweat-wicking fabric to help keep you dry and comfortable. Elastic waistband with drawcord provides a secure feel. Ergonomic seams lets you move freely. living in NYC - working as a CPT you have to commute to clients, the pants especially the fabric on the legs keep you dry and warm. I wish NIKE uses this fabric for other pants in a slimmer style fitting pant.